version, please see ISO IEC 27001 2013 Translated into Plain English. 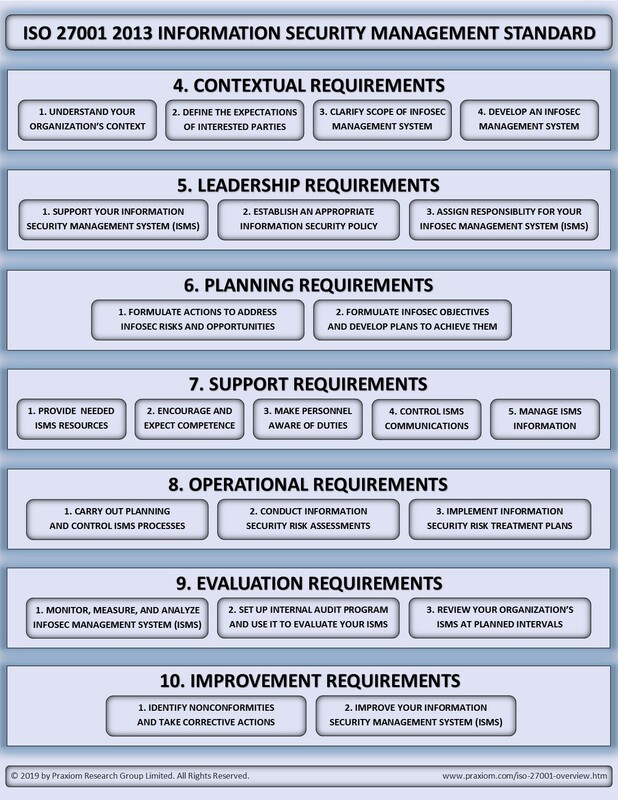 outcomes and objectives that its ISMS needs to achieve. the scope of your ISMS and to begin its development. responsibility for it, and by establishing an information security policy. and then to figure out what you need to do to address these risks and opportunities. to implement these options, and to formulate a risk treatment plan. plans to achieve these objectives. 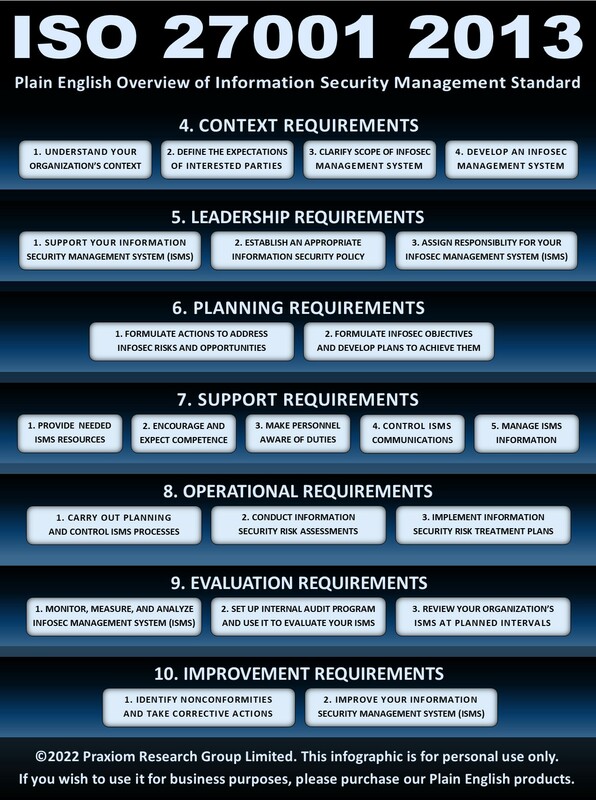 and to implement the plans needed to achieve its information security objectives. and to maintain a record of your risk treatment results. Updated on March 1, 2019. First published on November 12, 2013. Copyright © 2013 - 2019 by Praxiom Research Group Limited. All Rights Reserved.